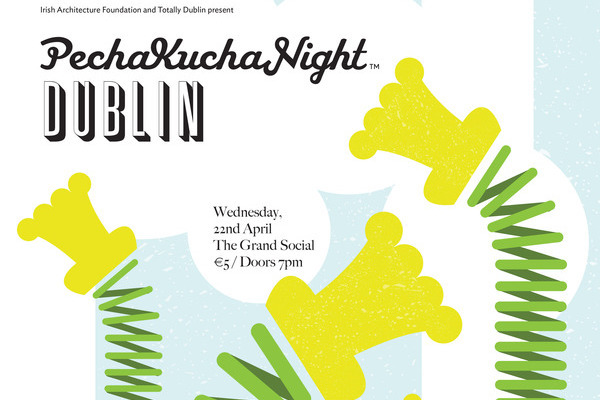 Get down to The Grand Social for a fascinating evening of talks, as the Irish Architecture Foundation and Totally Dublin present Pecha Kucha 2015! Pecha Kucha will be bringing you a night of talks with a difference: each speaker is only allowed 20 images, and each one of those images can only be displayed for 20 seconds. Rosie is the creative director of Re-Dress, a group dedicated to achieving sustainability in the fashion sector, ensuring best practices which respect human rights and take account of the planet’s natural resources. They do this through initiatives such as Better Fashion Week, the Clean Clothes Campaign and design label We Are Islanders, with which Rosie is also a designer. Broden has worked with the trans communities in Ireland and Canada for over ten years and is currently the Chief Executive of Transgender Equality Network Ireland. TENI advocates for the equal rights of transgender people and their families. Ireland is the only EU member state which has no provision for gender recognition legislation, but the Gender Recognition Bill 2014 has been published and will be debated in the Oireachtas. If passed, the bill would formally recognise Ireland’s transgender and intersex population. The talks begin at 7pm tomorrow in The Grand Social, and tickets can be purchased on the door for €5.